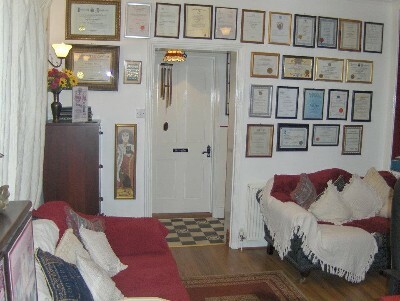 At the Elevated Therapy Clinic of Hypnotherapy and Holistic Practices in Dudley Road, Grantham. Elevated Therapy International ®- which developed into one of the most recognised hypnotherapy practices in the country for all people that are serious in getting beyond their problems and issues and reaching their full potential. “Michael`s best talent was described as unlocking and dealing with destructive subconscious states that lead to physical and emotional pain. His hypnotherapy worked so deeply and was combined with such pragmatic advice”. (London News). Michael was included in the London Paper` exhaustively researched list as a hypnotherapist and an alternative health expert and one of London`s Top 50 Wellbeing Gurus. He is now a supervising hypnotherapist as well as being a professional hypnotherapy practitioner now located in Grantham and very skillful over many years and with all issues and more. he sees clients from all over Lincolnshire, Nottinghamshire, Derbyshire. Leicestershire and beyond. This usually refers to what the general public term ‘hypnotherapy’. Generally, you are guided into a gentle, relaxing hypnotic state, where you are fully in control and where you are given suggestions and beneficial corrections directly to your unconscious mind for therapeutic purposes. Used in this way, hypnosis is an effective way of helping a person to find it easier to achieve something or to stop doing a particular thing which can be the source of many of their problems. It is true that no-one can be hypnotised against their will and even when in an hypnosis state, an individual can still reject any suggestion. Therapeutic hypnosis is a state of purposeful and confidential partnership to achieve positive results. Suggestions given are always positive, and worded very carefully by Dr. Michael G Millett in order to get the very best results for you. Analytical hypnotherapy or Hypnoanalysis works on the premise that every symptom has a root cause, just in the same way that the term ’cause-and-effect’ works in other areas of our lives. 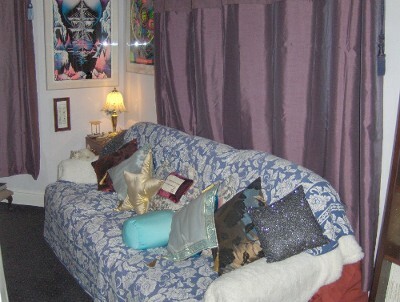 Analytical Hypnotherapy is psychotherapy using hypnosis. Dr. Michael G Millett is also a qualified psychotherapist apart from being a hypnotherapist. Analytical hypnotherapy looks at the root cause of the problem and is helpful in dealing with the more deep-seated problems and buried trauma that many people have such as anxiety, fears, phobias, depression and a host of other psychological and emotional problems. For example, a person suffering with a particular phobia and cannot make sense of it or give a reason why they have that particular fear will often have `fear within them` which is then projected and attached to an object or a situation as a coping mechanism (symptom substitution), whether it be a fear of spiders, or lifts or another unconscious selected situation. Once the root fear is dealt with and the bottled up emotions resolved, it loses it`s power, bringing about lasting and beneficial change. The best way to help problems caused by blocked emotions is to release these feelings. A more `spiritual` form of `inner work` or hypnotherapy. Dr. Michael G Millett is a trained and qualified metaphysician as well as a hypnotherapist. The focus is on giving the person resources within themselves that they can call on to resolve their own issues. These resources are often referred to as our Inner Guides or working with the Inner Child. It incorporates Gestalt, Regression Therapy, Neuro-Linguistic Programming (NLP), Psychosynthesis and Shamanism with the ancient science of Alchemy as translated and channelled to the modern world by Dr. Carl Jung. (i) Etheric Plane Communication: Allows emotional expression and encourages resolution of incomplete or disturbing relationships. (ii) Running and Changing Incidents: Transforming negative experiences of the past into positive resources for the present. (iii) Rescuing the Inner Child: Provides emotional security for the “little child” that exists in each one of us. (iv) Inner Guide Work: Establishes communication with the transpersonal levels of the psyche. (v) Past Life Regression: Used for clearing trauma, contacting resource states, bringing back gifts and locating and changing hidden agreements. (vi) Conference Room: An advanced form of “subpersonality work” used to create order from internal chaos by resolving conflicts between our various subpersonalities. It is also easy to book either by phone or e-mail. Or you may have some questions you would like to ask first. Please be assured, there is never any pressure from Michael to make a decision there and then; you can have a think about it and make an informed and discerning choice and get back to him again.